No Petrol Subsidies mean higher or lower petrol prices? Starting 1st December 2014, Malaysians no longer get any subsidies for petrol. What does this mean? The government of Malaysia’s decision to remove the subsidies for RON95 and diesel starting December 1, 2014 had many implications. Would that mean that petrol prices will suddenly spike sky-high or would it mean cheaper fuel? The latest petrol price with the subsidy by the government is at RM2.30 per liter which was the result of the latest price hike of 0.20 sen per liter before the announcement to remove the subsidy was announced. The criticism was that based on the global benchmark Brent crude, trading of was below US$83 (RM272) around the same time which means that RON95 petrol price in Malaysia should be less than RM2.30 per litre. So what does this mean for the common driver in Malaysia? Without the subsidies, it will mean that you have to more mindful about petrol prices in the country. 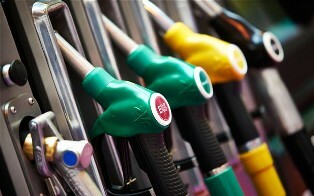 As a vehicle owner, you will now need to keep watch on the petrol prices almost on a weekly basis. In the past, you can plan how much you use each week or each month because petrol prices were fixed. You can no longer do that now. Some analysts believe that it might be cheaper to use RON97 instead of RON95 if your vehicle is able to. At the current market rate, it would mean better fuel efficiency and if that is the case, you could well be saving on fuel in many ways. It is time to really learn to drive efficiently. Instead of monitoring the price of petrol too much, perhaps it is time to monitor how much petrol your car consume on a weekly basis. You need to calculate how many kilometers you use every week in order to determine how much you will spend on petrol. It would make perfect sense if you practice better refueling methods. Instead of fueling your vehicle to full each time, go for half tanks which are more cost-effective. In doing so, you can bracket your expenditure into twice weekly. Furthermore, your car does not consume as much petrol since it is not heavily burdened so it helps in reducing the need to use too much fuel when accelerating. With all that mentioned, perhaps it is time to consider reducing your dependency on your vehicle to travel especially when you are going to short distance areas. While public transportation won’t be entirely ready until 2017, becoming more mindful of your petrol consumption would surely help. Meanwhile, let’s hope that the crude oil price in the global market dips so that petrol price in Malaysia will be lower as well. NextRON95 or RON97? Is there a difference?